Medical records, employee salary details and termination paperwork are just a few examples of documents that are often printed on a shared printer, but contain information that should not be shared. Providing the tools for employees to properly handle private and confidential information is the responsibility of the organization. 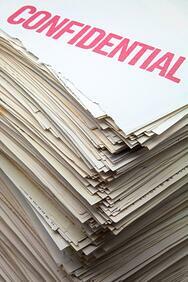 Virtually every business works with confidential information. A few examples include employees' tax information, salary and insurance details, medical information, legal documentation, student records or termination papers. Depending on the nature of your business, you might also be dealing with confidential customer information. Everything from payment information and credit card numbers to home addresses – incredibly valuable information for identity thieves. It is your responsibility, as an organization and employer, to keep this information secure. 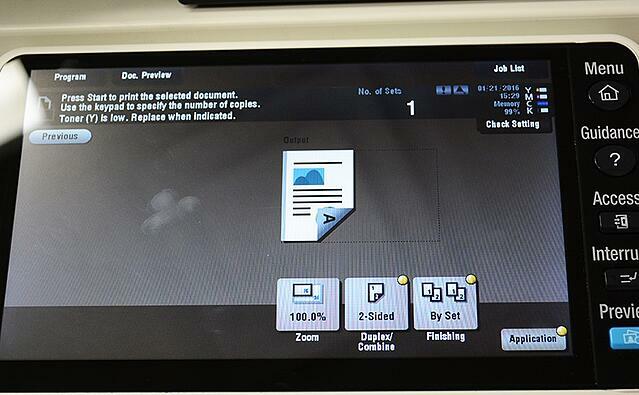 Secure printing software can be an important part of your security process. 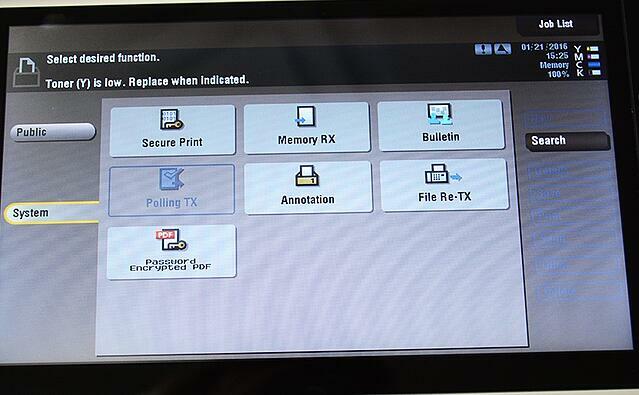 Secure printing software is one tool that controls the transfer and production of sensitive information. It works by tying the user to the document by requiring that user to identify him/herself at the printer (via a PIN# or ID card) before production will begin. This ensures that the confidential/private documents don’t get lost in the paper shuffle or picked up by unauthorized viewers. But before going into detail on secure printing software, I want to share a helpful guide that you — or anyone in your company — can follow to get a head start on printing securely. Secure print features on today’s multifunction and standard print devices allow you to manually set documents to print confidentially. By doing so, you eliminate the risk of someone viewing sensitive information or taking important documents. yWhether you’re printing employee salary information or patient files, secure print can be useful in many different organizational scenarios. Here's a step-by-step guide to using the secure print features of a standard, multifunction printer. The screens and instructions you see below may vary slightly based on the type of computer you use and the printer you are connected to. Select File>Print within the application of the document you want to secure print. 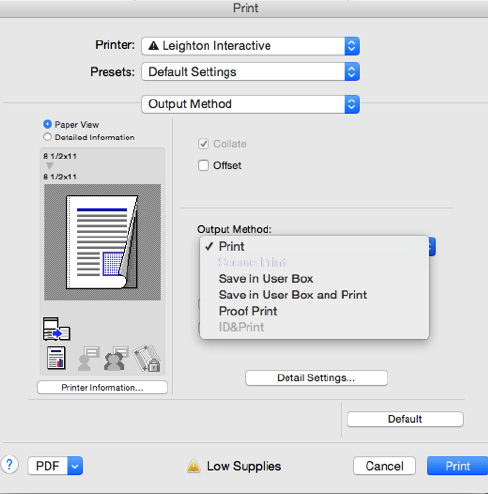 Click the Printer Properties link that sits under the Printer selection drop-down menu. 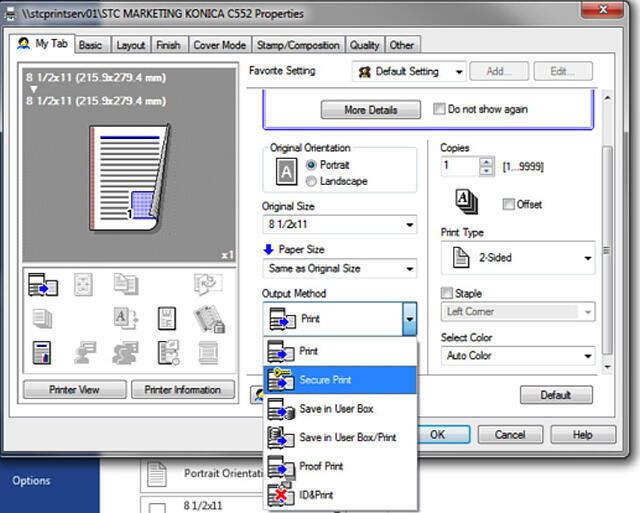 In the pop-up window, on the first tab that appears, find the Output Method section, and select Secure Print from the drop-down menu. Another new window will pop up, where you’ll be asked to create a Secure Print ID and Password (which you’ll be asked to enter on the Printer in order to release your document to print). Click OK when that is complete. Clicking OK will make that pop-up window disappear. Finish adjusting your print settings to your preferences in the window that remains. When ready to send your document to the printer, hit OK. Proceed to step #6 if you don’t use a Mac. In the second drop-down menu under Presets, select Output Method. 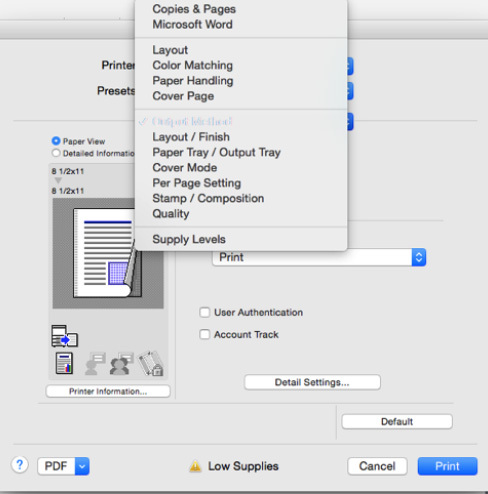 In the Output Method window, select Secure Print in the drop-down menu. Create a Secure Print ID of your choice. Clicking OK will make that pop-up window disappear. Finish adjusting your print settings to your preferences in the window that remains. When ready to send your document to the printer, hit Print. When you are ready to pick up your document, head to the printer. Select the User Box option. On the next screen, navigate to the System User Box option. 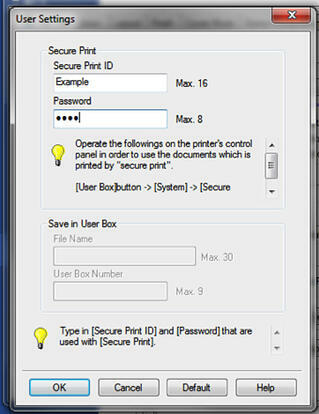 Within the System User Box, select the Secure Print option. The next screen will ask you to enter a Document ID and Password. Enter the information you created in step #4. Click OK when you are finished. This will take you to a screen with any documents ready to be printed securely associated with that User ID and Password. Select the file you wish to print. 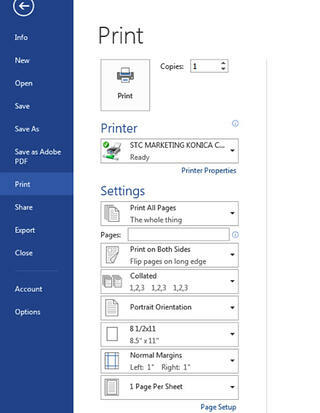 After selecting the document, you can adjust any print settings by selecting the Print option on the right side of the screen. 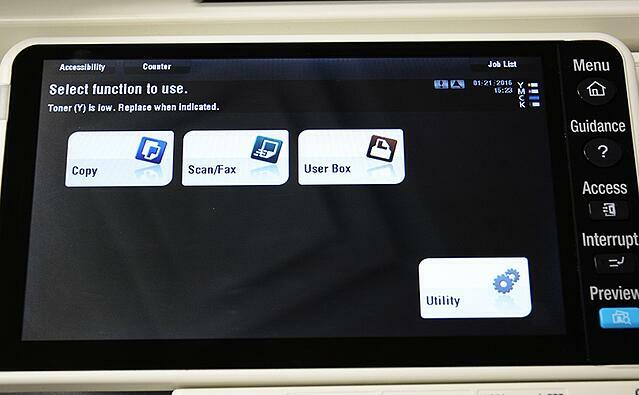 Hit the start button on your printer/copier/multifunction device when you are ready to print. Secure printing requires only a few easy steps that eliminate a big risk. Share this step-by-step guide with your team members that could also benefit from this feature. PaperCut™ is a print management software with a secure print release feature that prevents printed documents from falling into the wrong hands. 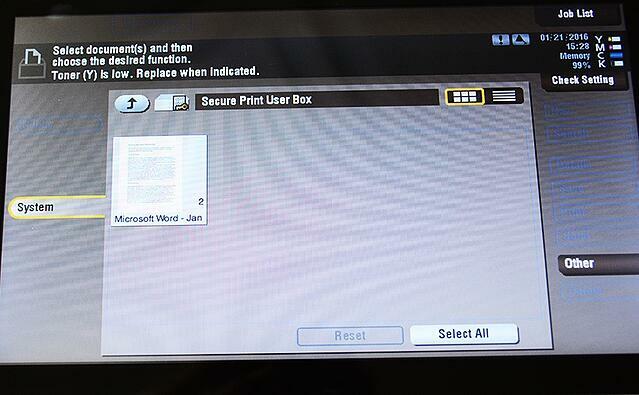 It prevents having to take any of the steps in the secure printing guide above. Instead, the program works by putting print jobs into a holding pattern. 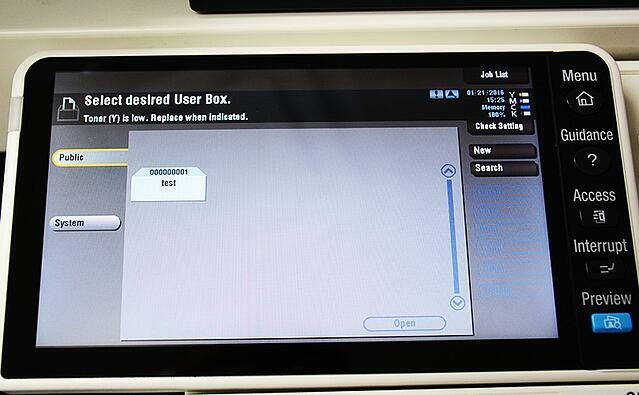 Until a user authenticates themself at a printer, their document will not be produced. 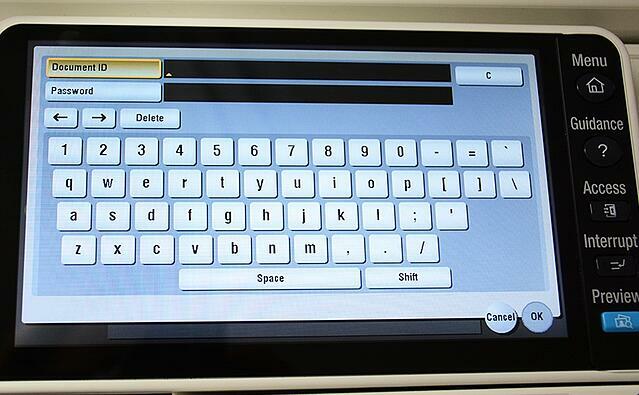 This ensures the user is present whenever their confidential document prints. As an added bonus to the security benefits, PaperCut’s™ secure print release can help reduce waste within your organization. Because print jobs can be held until a user is authenticated, many jobs go unprinted because the user never claims the job. Secure printing is only one feature of PaperCut™ - for more features and benefits of this print management software, click here. 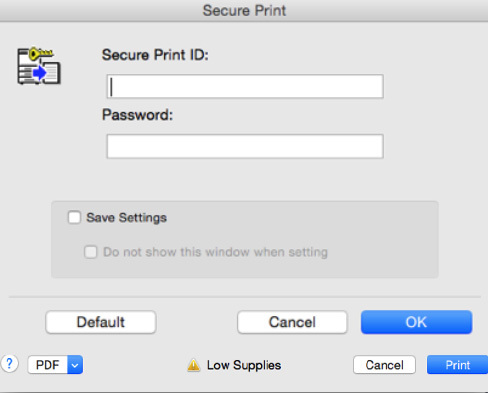 Secure Printing Software or Personal Printers? The alternative to secure printing software is placing the responsibility of secure printing on individuals and individual departments alike. Beyond manually setting up secure printing, some businesses also elect to provide personal printers to individuals who need to regularly print securely, like human resources employees. Private access to a personal printer is one way businesses ensure documents are handled only by authorized users, the same way secure printing does. When debating which option is best for your business, let's look at the sufficiency of personal printers vs. secure printing software. Personal printers for secure printing can be best in smaller organizations simply because the amount of print devices — and the number of people using them — is limited. The private printer should only be accessible by employees approved to handle this type of information. So, to prevent exposing confidential documents, the printer must be located in a secure location. Secure printing software, such as PaperCut™, is typically necessary for larger organizations with a large number of employees handling secure information. It allows multiple employees to use the same printer, while maintaining the security benefits of using a personal printer. Printing to shared printers with secure printing capabilities is often more cost effective because the device can be used by more employees, rather than limited to only those that are approved to handle confidential information. Secure printing seeks to minimize the risk of exposing confidential information, and helps keep both your employees' and customers’ information safe. To assess your environment and discover which is right for your organization, request a free print technology assessment.